Mercury and Venus are closer to the Sun compared to the Earth. 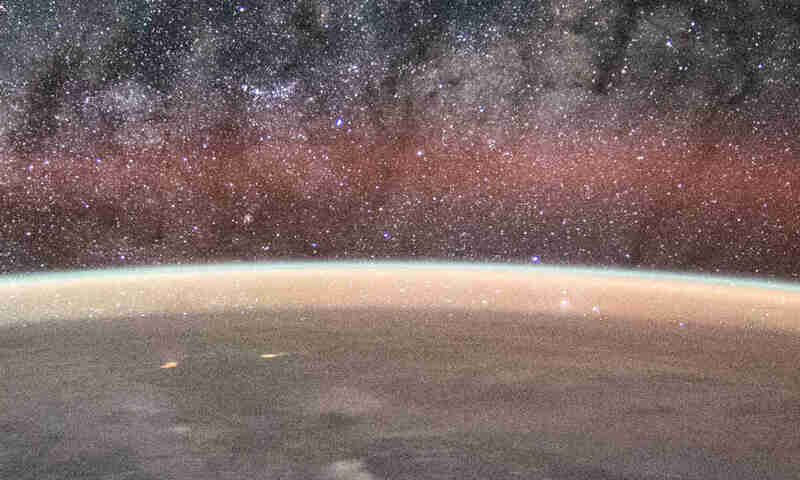 The best condition to observe these planets is during some time after sunset or before sunrise. In some cases, they are even visible in the day. 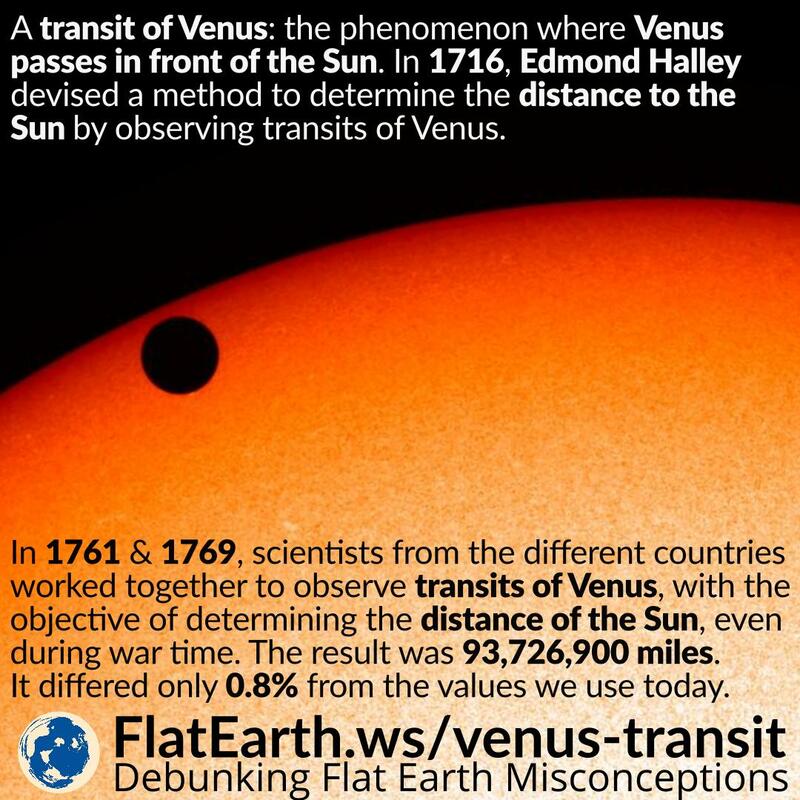 Many flat-Earthers think that it should be impossible to observe Mercury & Venus as they are closer to the Sun. They are wrong. The topic of tide come up frequently in the flat-Earth community. Let’s examine some of the ‘issues’ they brought up about tides in Q&A format. The Nikon Coolpix P900 camera is a very popular camera among flat-Earthers because there’s no other compact camera ever made that has such enormous zoom range. It is a unique and a very useful tool in this state of affair. 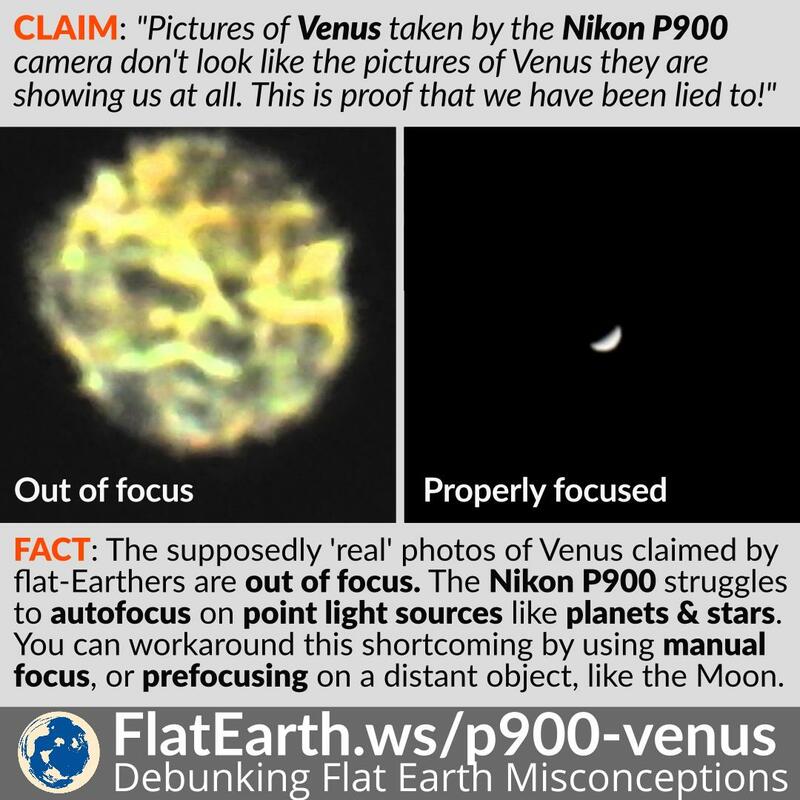 Someday, some flat-Earthers decided to bring their trusty P900s out and used them to take some pictures of Venus. To their delight, the resulting pictures don’t look like Venus we all used to know. They were too excited that they thought they have discovered an original ‘proof’ of global deception. 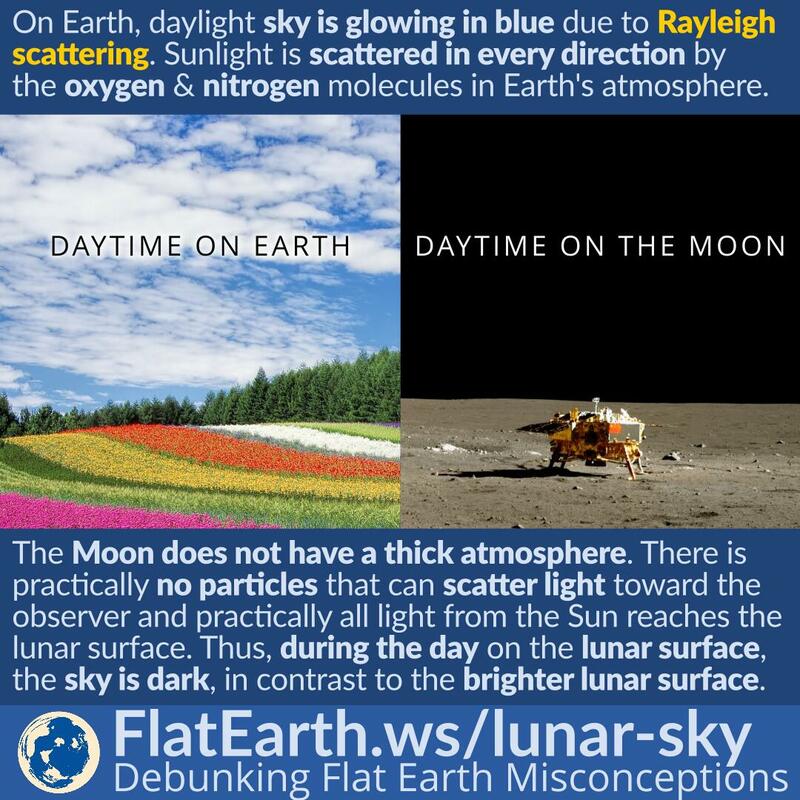 “This is an irrefutable ‘proof’ that they have been lying to us!” so they say.